Rick Shaw is an extremely clever fourteen-year-old with a passionate interest in science. When his father is killed, he vows to use his scientific skills to fight evil – as Boffin Boy! 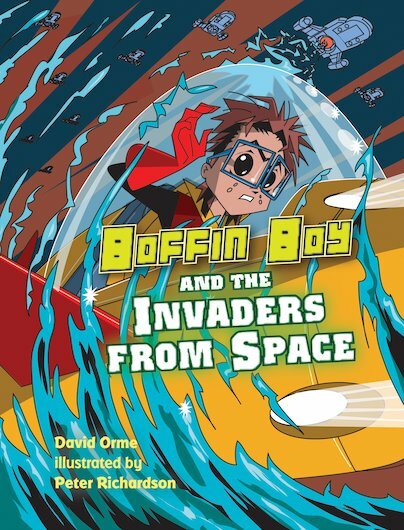 Now Boffin Boy and his trusty friend Wu Pee must fight the scaly Snurgeon space invaders, and stop them from stealing all of the Earth’s water! A stonking manga-style adventure for reluctant readers, which includes speech bubbles, a low word count and an exciting graphic layout.